Spring is here and there is something very exciting about all the new fruits and vegetables now in season. Got a mother who loves to cook, loves to garden or loves seasons? Here’s a recommendation for a new twice on gift giving. 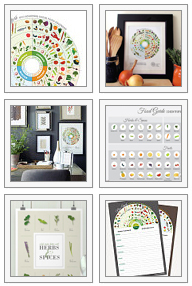 Check out Etsy’s Mother’s Day recommendation: Jessica Haas Designs seasonal calendars! JHD features over 20 states so go see if yours if there. If not don’t fret, make a custom order, you may not met your Mother’s Day deadline (custom orders are received within 3-5 weeks) but if it’s the perfect gift, it’s the thought that counts. Plus, JHD can delivery directly to your Mom with a note (just note it when checking out)! This entry was posted in Advertising, Jessica Haas Designs' Work, Opportunity, Promo and tagged art, California, cook, cooking, creative idea, creativity, deliver direct, eat well, etsy, exciting, food, fruits, garden, gardener, gardening, gift, gift on Etsy, good idea, healthy, in season, mail gift, mothers day, new idea, New York, ohio, one of a kind, online gift, perfect, present, print, region, Seasonal, seasons, send a note, send gift, spring, state, thoughful, unique, vegetable, with a note. Bookmark the permalink.